Mount Fanjingshan, situated in the city of Tongren in China's southwestern province of Guizhou, was inscribed to the World Heritage List on Monday at the 42nd World Heritage Committee meeting in Bahrain's capital Manama. It is the 13th site in China included on the World Natural Heritage List, making the total number of world heritage sites in China reach 53. Fanjingshan, the highest peak in the Wuling Mountain range at an altitude of 2,572 meters, stretches on an area of 402.75 square km with a buffer zone of 372.39 square km. The International Union for Conservation of Nature (IUCN), official advisory body on the natural sites of the UNESCO heritage meeting, said Fanjingshan has proved its aesthetic value as a natural heritage site and met the criteria of world natural heritage, which require the nominated sites to demonstrate outstanding biological diversity and integrity. The ecosystem of Fanjingshan has preserved large numbers of ancient relict plants, rare and endangered creatures, as well as unique species. It is home to 4,395 species of plants and 2,767 of animals. As the most important reserves of beech forests in Asia and the world's most gymnosperms-rich area, the mountain is also the only habitat of the rare Guizhou snub-nosed monkey and the Fanjingshan fir. In October 2013, Mount Fanjingshan was listed as the national natural heritage of China, before it was proposed by China as the country's only natural heritage nomination for the 2018 world heritage meeting. The inclusion of Mount Fanjingshan in the World Heritage List results from the international recognition of the natural value and the conservation work of the wonder, and reflects the progress that China has achieved in terms of protecting its biological diversity, said Song Xiaolu, head of the Chinese Guizhou delegation to the World Heritage Committee meeting. "We will continue to make an effort to protect and manage the natural heritage site of Mount Fanjingshan, and improve its basic infrastructure on the basis of the decision of the World Heritage Committee and the Convention Concerning the Protection of the World Cultural and Natural Heritage," said Song. 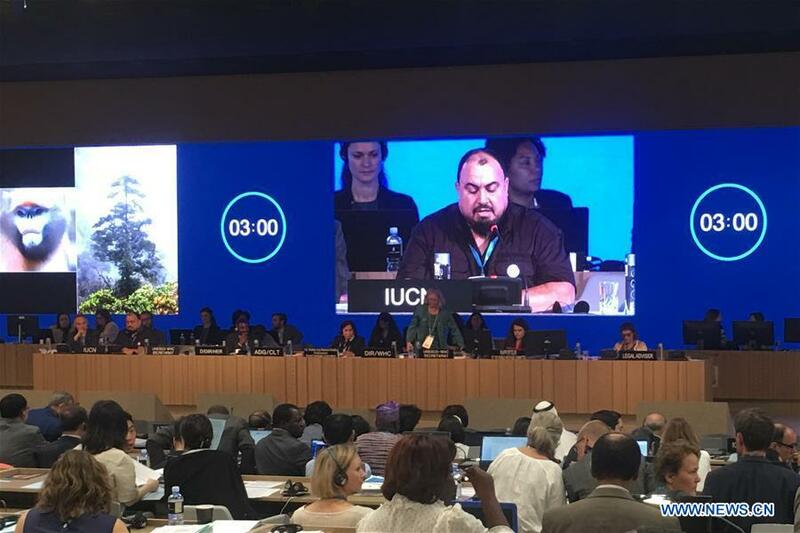 The 42nd World Heritage Committee meeting, held from June 24 to July 4, will discuss 28 nominations to the World Heritage List, including five natural sites, 20 cultural sites and three mixed ones.